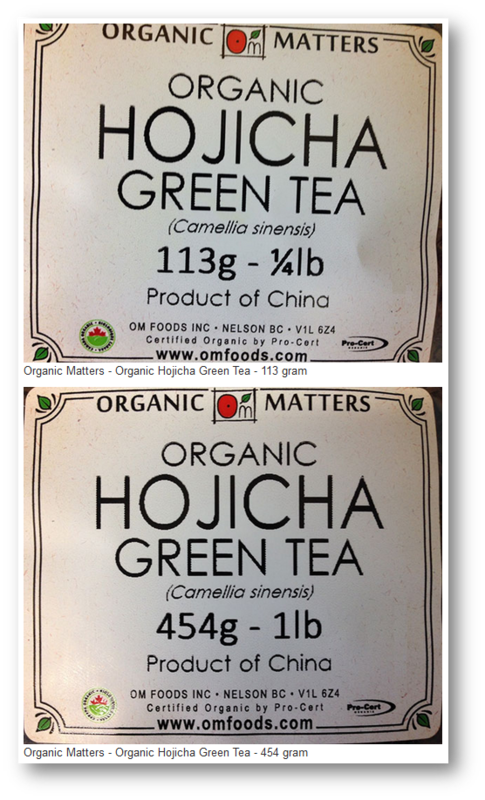 Ottawa, May 13, 2016 - Organic Matters dba OM Foods is recalling Organic Matters brand Organic Hojicha Green Tea from the marketplace due to possible Salmonella contamination. Consumers should not consume the recalled products described below. The following products have been sold nationally and through Internet sales.